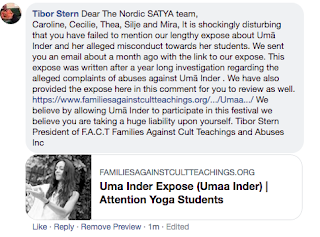 This is a follow up to our last expose on Uma Inder. Since our last expose a few of Uma’s employers have terminated their working relationship with Uma, which we believe is commendable. Unfortunately, some institutions have continued to work with Uma. We have received complaints from students who are worried about her potential harm to future students in the upcoming workshops and events. We have included one of the warnings we received from a former student. One of the past events was held at Kirana Yoga School. This event was from May 4th-6th 2018. Prior to this date we contacted said institution, to inform and warn them about the allegations against Uma Inder and we have not received a response from them as of yet. 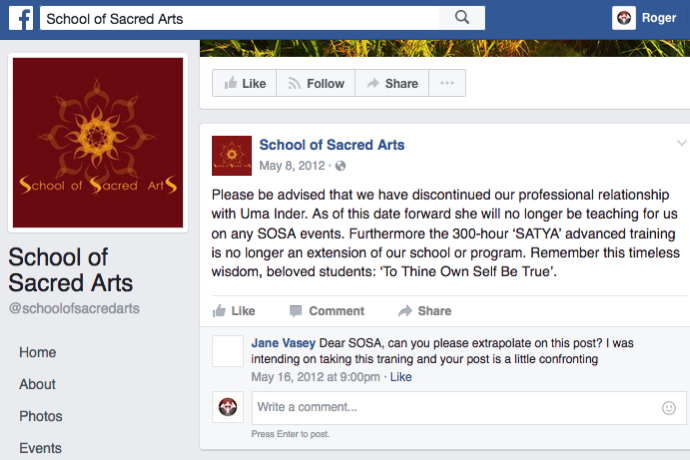 In our opinion this shows negligence and it is unacceptable from an educational institution. We will continue to follow up to warn students who attend this school. These are claims with no evidence at all - can you imagine if I were to listen to you? This is clearly fear-mongering and is not acceptable. I'm afraid you've become victim of your own fear - this email and site you've created seems very cultish & carries an energy of the like I've not experienced with such a creepy vibe. When your approach is more sensitive to the nature of what you're doing, lets have a conversation. From what I've seen from your email & the link you sent (no evidence whatsoever), you seem to be the group that's quite cult-like and does not have to capability of another point of view (so there will be no effective conversation). I'm available to speak June 2nd and after (travelling). be aware that first impressions are key - check out what yours is. 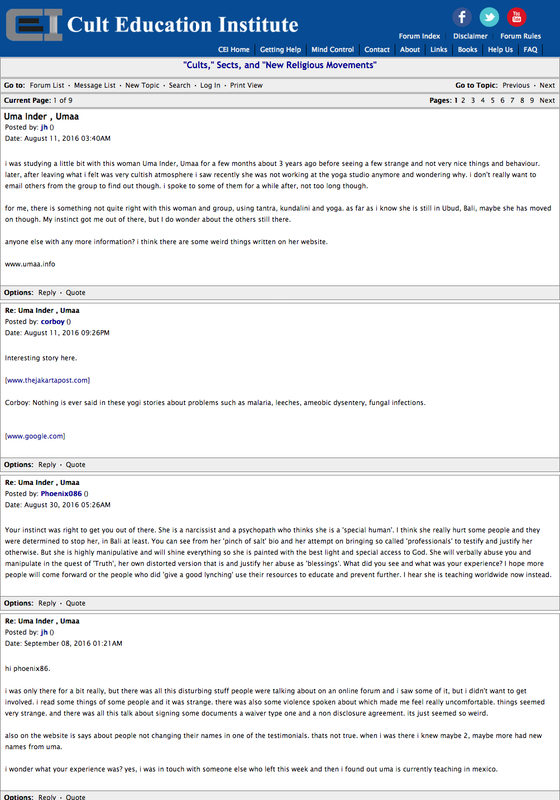 And this was the last follow up e-mail to Donny from FACT. This comes as a response to your email correspondence with Janette. It is clear to me that you don't want to hear the truth. It is also obvious that you will perform with Uma and you don't have the backbone or the decency to see the truth. Uma Inder has hurt hundreds of people and we are representing those victims. 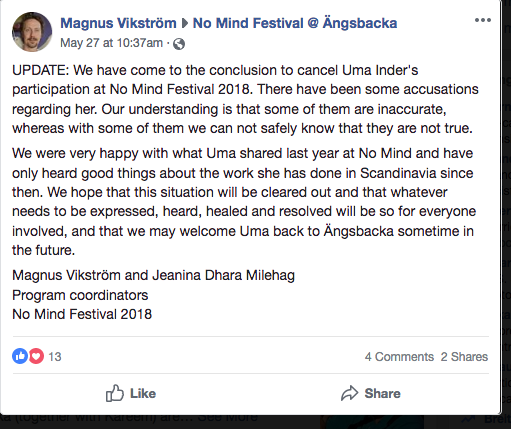 I believe if you would be a witness to any of Uma Inder’s crimes or misbehaviors you would still be in denial and continue to support her. 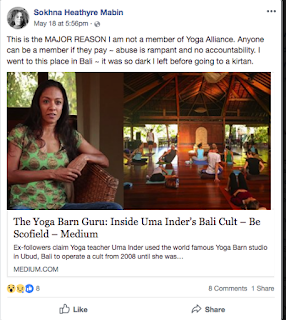 And that is why we believe that Uma Inder and this behavior is a cult. And as I say those who don't confront evil, will empower evil. I believe this is what you are participating in. Enclosed please find a couple of the alleged victims input. 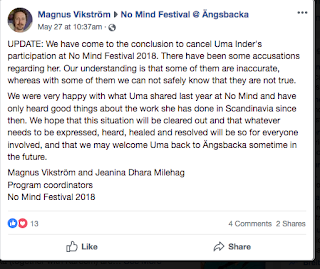 Updated to this post - Here is the second part and conclusion to our follow-up expose on Uma Inder. Please note: Our intention at FACT is never to libel or damage anyone’s reputation. The purpose of our work is primarily to educate the public. Moreover, please know that all statements made in this expose are according to our opinion at FACT based upon signed affidavits, complaints and evidence we received from alleged victims and through our analysis of this information according to the B.I.T.E. model (developed by cult expert Steven Hassan). One of the many recent Complaints Filed with FACT. Please describe the cult activity: They pay people to stay. If you try to leave they threaten you. They completely have strayed away from what they claimed to be at first. Their members are so sure that they’re the “truth” and if you come against what they believe they lash out at you. 2) How did you/they get involved? How were you/they directly recruited? They claimed to be a Pentecostal church. My family is Pentecostal. They thought it was an upstanding organization. The pastor has gone to great lengths to recruit people in the last five years. 4) Has their been a disconnection of relationship(s) with family, old friends? Yes. They come to family functions, and they spew a bunch of information about their beliefs, and if you come against them they have a freak Out. 5) What are the circumstances currently? They attend regularly. Impact from group: They have stalked me to try to get me to join, via Facebook. When I refused, my family members who attend basically shunned me. Is there anything else that we should know or you would like to tell us: Please look deeper into these people. They’re dangerous. They stalk people and threaten people. It’s not good." If you have any experience with this Center please let us know. My son is in this so called church. He is a group leader in the young men and women's group. I asked about this group and as he was explaining he was very arrogant, which he wasn't before this church, and he let me know in so many words that he exerts pressure on group members. I stopped him there and said, you are exerting pressure on people in a church group? He answered saying that, well he joined voluntarily. So we had a conversation about that. When I stop him about something I feel is not right, he changes the words he uses to something more accepting to someone; but the actions are still same. They keep him so busy with church business that between work and church, he is always tired. But he still protects the church. He was taught there to take some gray area in scripture and take one extreme view and act as if its fact. Also there, they have women pastors, which is not even close to being biblical. 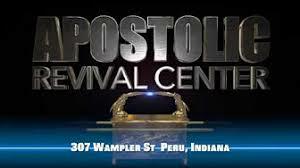 It is a pentecostal church, so you probably know about those. Its under the umbrella of the Assemblies of God churches. He is almost always with someone from that church and has continuous church functions and giving them 10%. There is much I can complain about this apostate church. They got him a new family, he calls this xxxx (who was in jail before) his spiritual father,(new father), the pastor got him a woman to be his wife, they have isolated him while making him reject me, his real father, and reject his friends, other family is not really in his life much, they don't know him like I do. I was the only one who went to his college graduation even. His behavior and personality has changed drastically, shockingly. He is constantly working for the church with not much time for his things he was doing before, his interests changed, he even told me to throw all his stuff away at home.(shocking). He is in a constant grind from work and church. xxxxx recruited him into it little by little. xxxx doesn't respond to logic or common sense, no analytical thinking. He was always so smart, xxxx made straight As all of his life. My son, xxxx II was in college in Western Washington University from 2012 to 2016. My son and I had the best father, son relationship ever and I trusted totally. There, he met who I now believe was a cult recruiter for this church. His name is xxxxx who is 12 years older than xxxx. He began to get xxxx interested in learning Bible scripture. Then xxxx began attending a church with him and was baptized. xxxxx, then moved to Phoenix as xxxx stayed 2 more years in Washington. They stayed in touch, but I didn't know that they would be on the phone sometimes for 5 hours, xxxx then girlfriend told me later. She also told me that xxxxx would call often when they were together; first to ask xxxx to do little things on computer or phone that he could have done himself. Then the things he called xxxx for began to be bigger and more time consuming things that, she said began to seriously interrupt their time together. xxxxx was continuously doing his recruiting on my son. After a year out of college, xxxx was planning to come home where I live in xxxx NV. We had made plans to do many things and I was excited that he was coming. Just before coming home, xxxx told me that he was considering going to Phoenix to live for a while, where he could record his music, as he was a song writer and performer, and xxxxx was going to be his manager and get him into a recording studio. Then he had a dream about him and me working in my garage on our project car, an old firebird. I thought, great. When xxxx told Freddy about the dream, xxxxx convinced xxxx that it meant that he was supposed to come to Phoenix to live. I wasn't happy about that, but xxxx was really serious about going there and to record his music. So he went there. xxxx signed a lease for a house there and xxxxx and his family moved in. xxxx babysits and picks up the kid from school sometimes and Freddy uses his car. xxxxx is just using my son and is controlling him. He came to see me often since, but in March, he came with a girl who he said he wanted to marry. 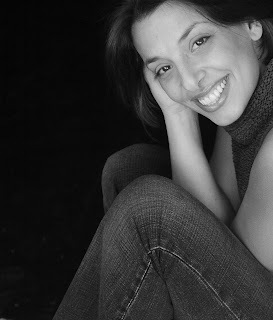 I had only seen a picture of her a month earlier, but had not heard much about. He had a girlfriend in Washington, who he tried to keep a long distance relationship with, but that ended a few months after moving to Phoenix. She told me later that one of their problems was that she didn't understand xxxx relationship with xxxxx (he was older than xxxx and had a wife and three kids.) I felt the same way too. So soon after he broke up with the girl in Washington, he was introduced to this other girl by the Pastor and xxxx and she became co-group leaders together and even worked outside of church preparing lesson plans for the group. He brought this new girl to meet me. I was appalled by her behavior, not engaging in conversation with me or asking me anything. She had her hands all over xxxx, but he didn't to her. They seemed awkward together and at one point started to dance when some music played, but they looked completely stupid and they couldn't get together on the song to dance and they stopped trying. I didn't see them as a couple at all. She brought up disgusting things during dinner and she had a philosophy of not going to doctors or taking medicine; which to me is a cult thing. When xxxx and she were sitting on the couch here, she put her leg in between xxxx legs and just sat like that in front of me. I was shocked at that. We were shocked at that. I believe this means that there is something sexual going on, but he says there isn't. I had a lady friend with me who has known xxxx since he was 14, and she thought the same as me about them. They didn't even look right together. Later, on the phone xxxx and I had an argument about her and he said some mean things to me which shocked me, because we had never had argument before, xxxx respected me and loved me so much and always took up for me if anyone said anything negative. I met his other girlfriend and we got along very well. I think now that they came to offend and she is with him maybe just to watch him; because now I think he only is with people from church. So he is always being watched, and I really began to think , CULT!!! And I began to research cults etc. As the months pass there are still no music recording and every time I ask about it, xxxx says he is writing songs. I told him he should already have them on a CD; they could be saving souls. His music is all worship songs. He told me for the last few months now that the reason he hasn't recorded any songs yet is that , Jesus told the disciples to wait for the holy spirit before going out to preach the word. I keep telling him there is no connection to that and why he is not recording his songs. Now, all his decisions are based on a sign from God, a dream interpretation or confirmation in scripture. Its all too much. He came to visit in March and that's when I talked to him a lot and found that he is a completely different person. He doesn't care about seeing his friends here or his cousin. Doesn't care about anything at the house, like the project car, watching family videos that we always did. So many things were changed about him. Even some mannerisms and his eyes. At one point he did say that he would stay here and live. He called his boss and quit his job, called xxxxx and told him he wouldn't be back. I cried with happiness and he did too. Then he called xxxxx, the girlfriend, to break up with her. Then he was in the bedroom talking to her and he was crying. He couldn't be heard from the living room. I went in to see him; he was crying so hard and his hair all messed up and he waved me away and went into the bathroom and closed the door and kept talking for a while. He looked as if he was in some great torment. not just shedding a tear over breaking up with a girl he knew only a few months. He was with the other girl for over a year but he didn't cry when they broke up. This was like she had some kind of thing over him and was threatening him with it. I kept asking him why was he crying like that so hard. I even asked if she had something on him that she's controlling him with and threatening him with, but he said no. He said he cried just because they were breaking up and then he decided to go back and be with her. I was devastated. Later he said again that he would stay and then changed his mind again. He did that at least 3 maybe 4 times. At one point I took his phone and kept it for a couple of days and he was more dossal and he said he would stay again and asked for his phone back so I gave it to him then he changed his mind again. It became a something sick he was doing and I didn't understand it. I took his phone again but this time he jumped on me to get it back, I went to the ground and he wrestled it out of my hands and pulled it so hard that it injured my thumb and I had to have x rays and physical therapy. But he acted as if nothing happened. I'm sure this xxxx told him to do whatever he has to, to keep his phone so he or they or whoever could keep contact. Then I felt like I was afraid of my own son and I asked myself, what is he capable of doing to me if he would do this? He had never even been in a fight in his entire life, but now he is violent, arrogant , lying, deceiving, not showing a bit of caring or love for me. Its like he is incapable of compassion. His eyes were always big and wide open and now it seems like his eyes are half shut all the time. He was more Christian before he started learning scripture with xxxxx than he is now. Whatever he doing there, it has nothing to do with Christianity. Then he went back. I wish I knew of some group that could help me get him back and put him back the way he was. I know this will take time, but that's what I have. I'm not stopping to save my boy out of this evil that I feel he is in. He has since never asked me how I am or how my thumb is; this is strange, and once I said that to him, and he said, yes I have, I said it many times. No not even once since he went back. He is deeper in it not than ever and I don't know what to do anymore. He is always tired when I call or Skype with him. 3) Are there other family members involved? Only me and my best friend. 4) Has their been a disconnection of relationship(s) with family, old friends? 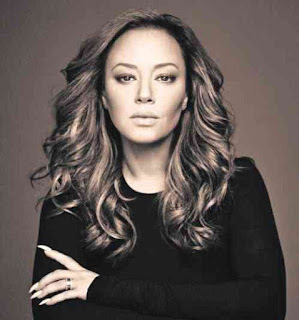 They are trying to break completely my relationship with my son, and he has really turned on me as if I am nothing. He often says to me when we talk that I cut him off and he can't talk to me; trying to find a reason to stop our conversation. 5) What are the circumstances currently? He wants to marry this xxxxx girl but he knows that I don't want him to. He told me that its up to me if I want to be a part of their lives. I can't stand her. He only wants xxxxx and his family and xxxxx in his life and I feel like I'm losing him. This church is International too and can send him anywhere; he has talked about starting a church. Is there anything else that we should know or you would like to tell us: Please tell us anything else you think we should know. I made a police report of the assault and battery that he committed against me (his father) to get his phone back. My glasses cut my head and broke, I had a carpet burn on one knee, and my thumb was injured, the ligaments were pulled and the joint was spranged. Then he acted as if nothing happened. Now there is a warrant on him. He works in a xxxx in Phoenix, assistant manager, and I'm sure he will get fired if and when they find out. I got a call from the city attorney's office telling me that the warrant is approved by the court and will send xxxx a notification in a couple of days; so I called him and told him that he has a warrant on him now and they will let him know. He didn't believe me. But he said, Whatever happens, it will work out, because I didn't do anything wrong. He didn't panic at all and he didn't even blink when I told him. I asked him if he already knew, because he didn't even react to it. I think he and xxxxx already talked about it. He even said that could get it expunged if he needed to. I didn't know that he knew what that was. I told him if he would quit his job before he gets fired, we can work all this out and it would be nothing to it and in the end and then you can go back to work and with no fired from your job on your record. He said he was not going to quit and he will deal with whatever happens and that God will resolve it all for him. I texted him once and told him I was going to make a complaint against him, and he responded by texting me that if I did, he would be my enemy. I texted that we will never be enemies and that I loved him so much. I said all I do is out of love for him, he knows that I'm so worried for him that I would do about anything to get him out of that church and away from xxxxx. He told me that he knows I'm worried for him but he says not to worry. After I told him that he has a warrant on him now on Skype, we both said I love you; and at bedtime that same evening he texted me, I love dad, goodnight. I texted back the same thing. Today we did not communicate. But its ok.He is has a lot to think about. I just don't know where all this is going or what will be the ending. HELP! I thank God I found your website. If you have additional files, links, etc. that you'd like us to be aware of, please send them to the email address below." Our Follow-up Expose on Uma Inder will be posted Monday. 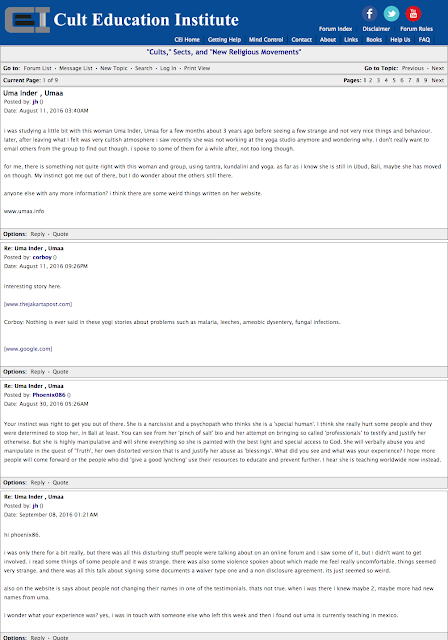 Until then, here is the initial expose for those new to our page and those who haven't seen it. 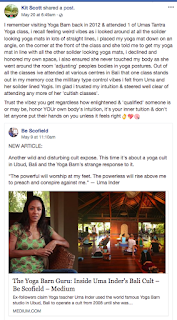 "Those Who Do Not Confront Evil Are Empowering Evil"
"My best friend is being lost to this extremist cult or faction whatever you want to call them. She has been given to a man who is to become her husband, they have decided everything for her. She is now unable to talk to me under orders or allegiance as she puts it to her husband as he now controls her email, social media and phone calls. Her family are going out of their minds over this, I have had to tell her mother what is going on there as she had been told to keep things secret from them. She needs help, I've lost my best friend to these people, people who believe that she will burn in hell if she defies her husband or the elders, who take everything, who stockpile guns to defend themselves from the unbelievers as they put it. Neither I nor her family know what to do......."
This is a typical day at the office, answering and supporting families who are going through crisis such as these. We are not familiar with this particular group Stairway. If you have any personal experiences or information that you would like to share about this group or any group, please do so. We are here to help create Awareness so as to Prevent tragedies. We are here to support those who are caught up or dealing with family or friends who are involved in controlling abusive groups and situations. 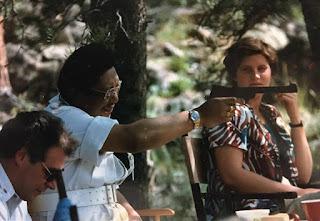 Brave Survivor tells us about some of her experiences as a young woman and as one of Chogynam Trungpa Rinpoche's secret seven wives in the Shambhala community. Chogynam Trungpa Rinpoche was the Founder of Naropa University in Boulder, CO. It was summer of 1985. I "married" CTR on June 12th of that year. I met him around May 31st at a wedding in the back yard of someone's home. That year, we had our "wedding" at Rocky Mountain Dharma Center (RMDC), now Sham Mountain Center (SMC) a few days before Assembly, then we had Seminary and Encampment happened during Seminary. That was the year he spoke of limited bloodshed and taking over the city of Halifax and the province of Nova Scotia by force. We were in the middle of the Mahayana portion of seminary teachings. For weeks, CTR had been asking everyone he saw if they had seen a cat. He asked the head cook, the shrine master, and all of his servants if they'd seen one. We returned to Prajna late one night after a talk and there was this beautiful tabby cat sitting on the porch. I said, "here kitty kitty" and he came right over to me, purring and rubbing against my legs. I picked him up and said: "Here sweetie, here's the cat you've been wanting." I can't remember exactly who was on duty but I think it was XXXX and of course XXXX. Someone took the cat from me and Rinpche ordered them to tie him to the table on the porch. He instructed them to make a tight noose out of a rope so the cat didn't get away. He stood over his guards to examine the knots and make sure they were secure. I was curious at this point, wondering what this enlightened master had in mind for the cat-I knew there were serious rodent problems on the land and I assumed he wanted to use the cat for this problem. Then, he instructed the kasung to bring him some logs from the fire pit that was in front of the porch down a slight slope. We took our seats-CTR was seated to my right and there was a table between us for his drinks. He ordered a sake. The logs were on his right side, so he could use his good arm. Anyway, the cat was still tied by a noose to the table. Rinpoche picked up a log and hurled it at the cat, who jumped off the table and hung from the noose. He was making a terrible gurgling sound-and he finally got some footing on the edge of the deck and made it back onto the porch. Rinpoche hurled another log-making contact and the cat let out a horrible scream as the air was knocked out of him. I said: "Sweetie-stop! What are you doing? Why are you doing this?" He said something about hating cats because they played with their food and didn't cry at the Buddha's funeral. He continued to torture the poor animal and I was crying and begging him to stop. I said: "I gave you the cat, please...stop it!" And I'll never forget his response-he looked at me and said: "You are responsible to for this karma." and he giggled. I got up to try and stop him and he firmly told me to sit down. One of the guards stepped closer to me and stood in a threatening manner to keep me in my place. The torture went on for what seemed like hours, until finally the poor cat made a run for his life with the patio table bouncing after him. It was clear he had a broken back leg. I'm sure that cat died. I looked for him or the table for the rest of Seminary and never found either. I imagined him fleeing up the mountain and the table catching on something and strangling him. I was completely traumatized by the event, but it was never spoken of again. Rinpoche told me the "karma" from this event was good. I was dumbfounded. A common feeling I had when around CTR was that there were things going on that I simply could not understand, while it seemed other people, with a knowing nod of their heads, understood things on a deeper level than I. I was in fear of exposing my ignorance, so I learned not to question and to go with the crowd around him. They didn't appear to have any problems with what he did-such was the depth of their devotion. I just needed to generate more devotion to Rinpoche and one day I might understand. I kept this secret for 30 years. I filed it away with the other alarming things I learned from being so blessed as to be welcomed into this very small club of nearly enlightened students. I kept his bulimia a secret. Along with the drinking and womanizing and cocaine use-he made himself throw up until all that came up was blood. The cognitive dissonance of witnessing his cruelty and suicidal tendencies that I witnessed was stomped on by the devoted students near him who refused to believe he was anything but the most enlightened teacher to ever walk the planet. 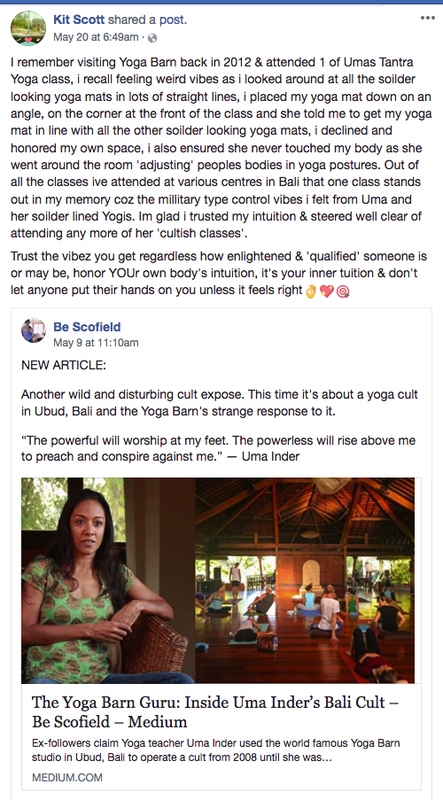 This is how one creates a cult and gathers students-they plant nuggets of profundity in our minds, and tell us to blindly trust samaya and devotion as the only way to enlightenment. They silence anyone with questions. They write devotional chants and stories, all about how meeting the guru saved their lives. They write of how he saw into their souls and loved them like no one ever had. The carrot at the end of the long stick is the promise of enlightenment, and thirty years later, as far as I can tell, this community is just as delusional as it was then, perhaps more so. If telling my stories keeps anyone from making the choice to sign up with this dysfunctional and, yes, dangerous community, that's a plus too." 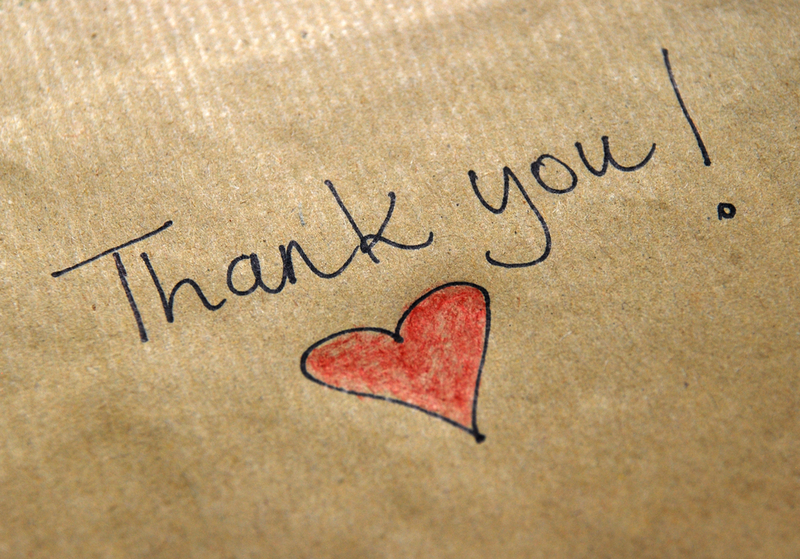 Thank you to all the brave survivors who are coming forward and sharing their stories, we can not expose the truth with out survivors sharing their truth with us. 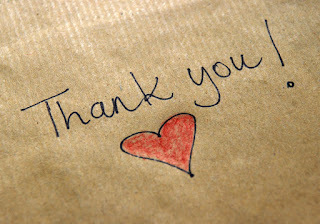 We can't do it without you - So Thank you again. Stay tuned... a lot more to come and be exposed in the coming days and weeks about the Shambhala Community / Naropa University, past and present, from more brave survivors.